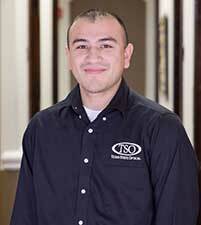 Alex joined TSO Cypress as an experienced optician having worked in both corporate and private practice. He is very knowledgeable on the premium lenses we offer in order to find the right fit for your lifestyle. As a member of the Army Reserves, Alex spends at least one weekend a month away from the office for training. We are very proud to have a military service member on our team!